Getting a tattoo can be a very tough decision. Surveys show that one-third of people regret their decision to get a tattoo for various reasons. The process of tattooing inserts indelible ink into the upper layer of the skin. The procedure isn’t simple and the pigment is difficult to remove. With this in mind, you have to be certain about your decision to get a tattoo. Nowadays there are numerous apps for smartphones which can help with the decision. They can even help you to choose the right tattoo design. With the help of tattoo design apps, you can find an image you like and preview it on any part of the body. 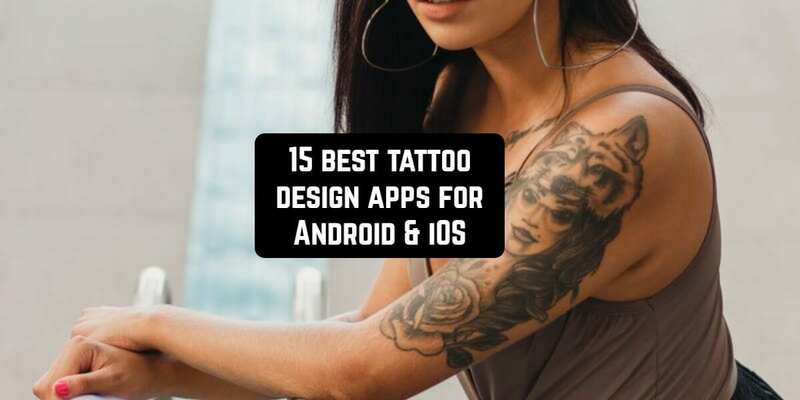 Below we collected 15 apps for Android and iOS to help you choose the best tattoo design. Inkhunter is one of the most popular apps with lots of positive reviews. 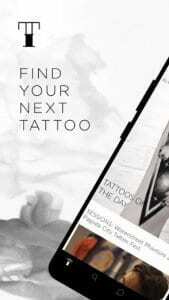 The app is even used by some tattoo artist to help their clients get a clear idea of what they want. The key feature of the Inkhunter is the ability to preview a chosen tattoo in real time with augmented reality before getting inked for life. Choose a tattoo sketch or upload your own and try it on any part of your body. First, point your cam toward the part of your body where you want a tattoo. Then apply a tattoo design. When move the tattoo will remain in place, so you can see it from different angles. 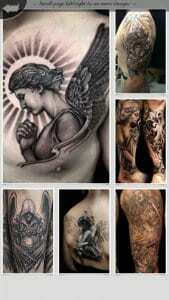 The application has a gallery with a wide selection of tattoos from different artists. You can find realistic pictures and abstract patterns in black and white or colorful designs. Create your own sketch by adding a text. The app offers a wide selection of fonts to apply to your design. With the help of this app, you will find yourself making a new tattoo in no time. Tattoodo offers an enormous gallery of tattoo designs and it’s divided into categories and different styles. By sharing your location you can even get the address of the nearest tattoo parlor. 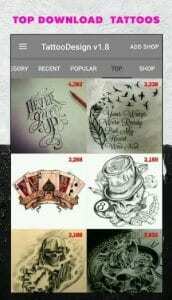 The app also gives access to the world most famous tattoo artists and their stunning portfolios. You can subscribe and follow artists you like, as well as book your next tattoo directly with your desired artist. Get inspired by millions of designs from a huge tattoo community connected through the Tattoodo. Some say that it looks similar to Instagram but specifically for tattoo admirers. If you want to be a tattoo artist, start to create your own portfolio. You can upload your designs adding hashtags with your preferred styles to show up in the app`s search system. The app requires registration either through social media or email. 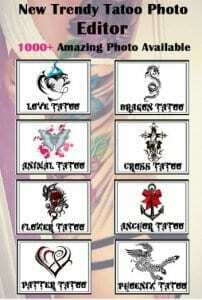 Tattoo Designs HD is a very simple and easy-to-use catalog of various tattoo designs. It has more than a hundred different categories: from romantic images to religious and spiritual symbols. 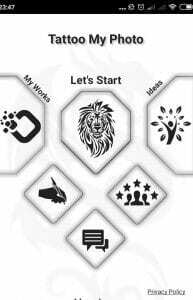 The application is equipped with the search tool to filter tattoos related to one subject. 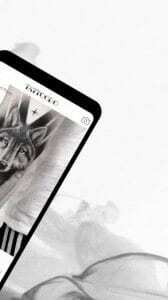 ِAll images are high-resolution and you can zoom in to see a picture in detail. The app gives you a chance to save pictures directly on your smartphone with one button or to use images as wallpapers. The app is absolutely free. That`s why it gained enormous popularity and high rating. Download the app in less than one minute and enjoy it without registration and sharing your social media data. 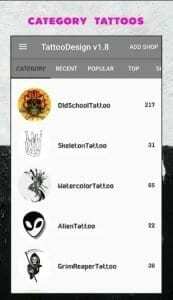 Yet another free tattoo design apps with a good rating. Tattoo Designs has thousands of tattoo ideas to be inspired of. The application itself is very light with a simple interface. You can choose a category with favorite themes. Choose a tattoo and ink yourself with fantastic creatures such as mermaids and demons or romantic sketches with flowers and angels. 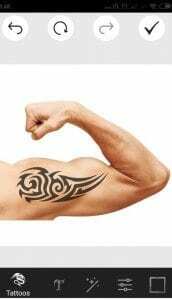 You can find tattoos suitable for both men and women. Don’t waste time surfing the internet or simply inking a first found tattoo. Get a tattoo you will never regret about. Share the chosen image with your friends through social media and get a review on it. 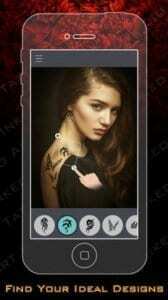 This app will also help you to analyze how a certain tattoo will look on your body. It takes three steps for you to do it. First, take a photo of the body part where you want the tattoo. Then, add a tattoo on it. Finally, add some text or a caption. 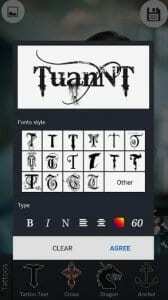 You are able to rotate, move or zoom a chosen tattoo and text. 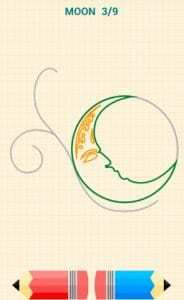 With the help of the app, you can create the tattoo of your dream. You can also choose different tattoo pictures and fonts from many designers. 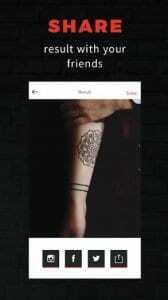 The app is not just as a simple gallery with various tattoos. 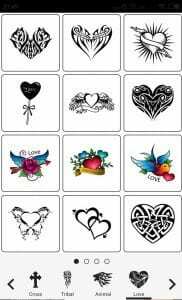 It’s an editor which will help you to choose a tattoo before getting it drawn onto your body or even to change your mind about marking yourself with a pigment. Let your imagination play with Tattoo My photo app. This easy to use application has a simple interface that can let you create your own stunning tattoo design and share it on social media and through famous messengers. Upload your body part photo and preview a tattoo. Change its color, size, or even transparency. With the help of the app, you can even edit photo`s brightness and contrast. 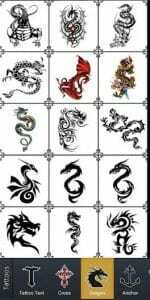 There are many different tattoo designs for both boys and girls. You can even to make a fake tattoo on your own hand and share it with your friends as a joke. The app is absolutely free but filled with many adds. This tattoo app is created just for boys. It has a huge variety of photos which will be suitable for masculinity. Weapons, dragons, skulls and etc. But it doesn’t mean that there is no romantic stuff for those boys who want to have a tattoo dedicated to his beloved. This app provides a choice for everyone. All designs are high definition so you can even set some pictures as a wallpaper. The interface is simple and uncluttered. The app itself is light and free. Good rating and lack of complaints make the application a popular one. Inksquad is a quite new iPhone application which also created a community for both artists and tattoo fans. The app gives you a chance to connect directly with a desirable artist to book an appointment and even to help you create a suitable design for your new tattoo. You can find the right tattoo artist according to your needs, style, and location. Search for the tattoo of your dream using filters based on styles and even body parts. So you can have a preview of how a chosen design will look on a particular part of the body. The application is easy to use with simple interface filled with lots of pictures. The developers haven’t created an Android version yet and the app supports only two languages: English and Italian. 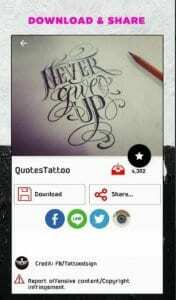 Tattoo Maker is a great tattoo design app which will let you edit your design and add text. It’s not only a simple gallery of different sketches. You can upload your own design and edit it changing the size and color it in different ways. Choose a part of the body from the gallery and apply the draft there. You can also use a pre-existing picture from the app and modify it as well. Draw, color, play with a tattoo design. Search for a perfect option before getting inked. The app is easy to use and has a light simple design. It doesn’t require to register. Simply download it and start to use. After choosing a picture the application will ask your permission to get access to your media files. +3500 Tattoo Designs is yet another application with a great collection of tattoo designs. 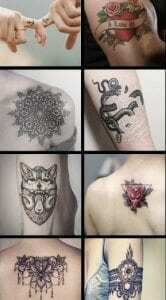 Most pictures are real photos of already inked tattoos in different parts of the body. The app will help to find the right tattoo for both men and women. Couples can find paired romantic tattoos for themselves. The application is simple, uncluttered, and will not take much space on your phone`s memory. Tattoo For Photo is another application which will allow you to preview your tattoo. You must upload a photo with the part of the body you want to be tattooed. Of course, the app will ask for your permission to get access to your phone gallery. Otherwise, you will not be able to use the app properly. Next, you can select a tattoo design from the app`s gallery – a cross, an anch, or even a mustache, if you want to be unique. Many of the pictures are locked, to unlock them you will be asked to watch an ad. Not too hard. The selected image can then be rotated or zoomed on the selected body part, the wrist for example. It will take 5 minutes for you to get familiar with this app. Choosing the right design of a tattoo can be very stressful and uneasy. Especially if you are going to get your very first tattoo. 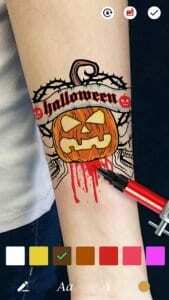 Tattoo Design App is an application which let you create your own design. It allows you to edit and save pictures. You can even email it or share with friends through Facebook. There is a big variety of categories. Designs with an American flag, unicorns, and other fantastic creatures, ordinary flowers pictured in a peculiar way. The app is free but you will be suggested to get premium categories of tattoo designs. The application is being updated on a weekly basis. So the collection of the designs is always expanding. 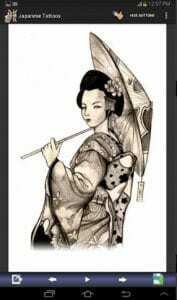 Japanese Tattoo Designs was created for those who are in love with Japanese culture and keen on inking something specifically Asian on your body. The app presents hundreds of ideas about tattoo designs. Asian culture is known as rich and unique. 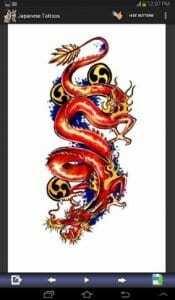 Images of big full body dragons, samurais or geisha will beautify your body. If you searching for something unspecific there is a big variety of attractive historical patterns, traditional images, signs, and symbols. The app has no editing function. It’s mostly a gallery. You can easily save a picture on your memory card or share it with friends. It’s easy to set a chosen picture as a wallpaper. Do you want to draw your tattoo from scratch step by step? How to Draw Tattoos app will teach you how to create your own tattoo. The app includes a collection of the most popular tattoo drawings classified by difficulty. So, you can learn step by step how to draw a butterfly, for example, or a rose. After learning a tattoo drawing principle, you can work on your own idea and even become a tattoo artist. The app is really easy to use and can be called educational. It doesn’t require login or registration and its absolutely free program. 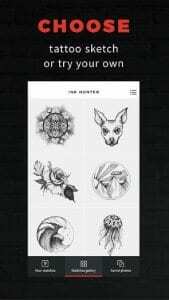 Inked Tattoo Studio is a simple application with a nice interface and graphics. It was created for iOS devices for those who are planning to have a tattoo. 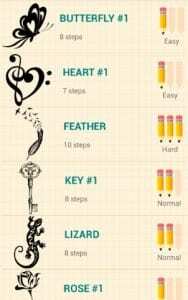 The app has a nice collection of tattoo designs which can be suitable for different tastes. Many colorful and black and white animals images, symbols, patterns and etc. The app suggests you trying different tattoos on your body without being inked in real life. Thus, you can avoid feeling pain and disappointment from making a wrong tattoo which won’t look as you planned. Upload a picture of your body, add a tattoo design and see how it looks like. You also can customize the size and position of the tattoo image. Try different pictures before making the important decision of being inked for life.